After dodging the Court for more than three years, UPA Government had to submit a list of the 26 accused of holding accounts in the Liechtenstein Bank in Germany in the black money case, says news reports. The Court has been informed that Income Tax probe had been completed in 18 cases and prosecution launched in 17 of them while one person had died. The names were given in two sealed envelopes having 18 and 8 names separately. The second sealed envelope contained the names of eight account holders against whom there existed no evidence of tax evasion as per Indian laws. While senior advocate Anil Divan advocated for the disclosure of even the eight names, the court said that they would deliberate on the issue.The Supreme Court had condemned the Centre on its non compliance with a three year old directive issued by the Court to the Government. It directed the Government to disclose the names of foreign bank account holders of the Liechtenstein Bank in 2011 and termed the Centre’s non cooperation as a “gross contempt of court”. The Apex Court demanded an explanation from the Government by next Tuesday. Solicitor General Mohan Parasaran, appearing on behalf of the Government had previously argued that without SIT appraisal of the information received from Germany under the treaty to avoid double taxation, the names of the suspected account holders couldn’t be disclosed. The SIT had been set up by the Apex Court to probe the issued, however it couldn’t be set up after Justice BP Jeevan Reddy turned down to head it. The Center had also petitioned that the treaty between Germany and India also prevented them from naming the 26 accused of holding accounts in the Bank. 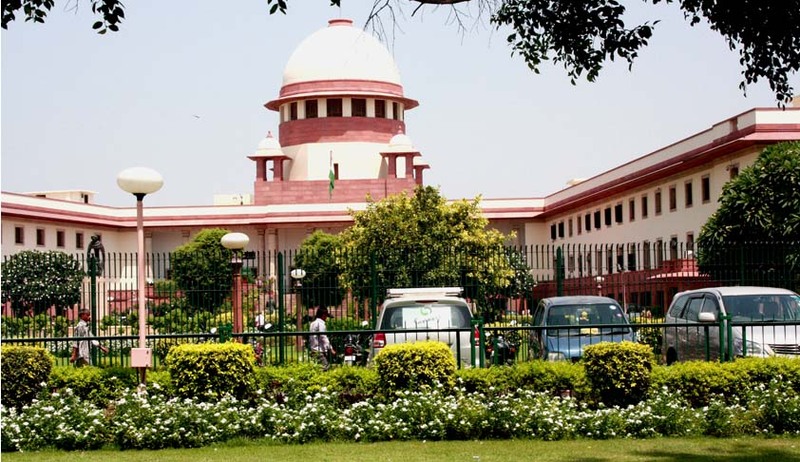 It was claimed by Ram Jethmalani appearing on behalf the petitioner, that it was the prerogative of the SIT to disclose the names of the account holders .The Bench consisting of Justice HL Dattu, Justice Ranjana P Desai and Justice Madan B Lokur was convinced by the arguments of Mr Jethmalani. According to the sources, the names listed in the Centre’s affidavit include Mohan Manoj Dhupelia, Ambrish Manoj Dhupelia, Bhavya Manoj Dhupelia, Manoj Dhupelia and Rupal Dhupelia from Ambrunova Trust and Marline Management. The Court was told that IT Department also found evidence against four members of manichi Trust- Hasmuk Ishwarlal Gandhi, Chintan Hasmukh Gandhi, Madhu Hasmukh Gandhi and Late Mirav Hasmukh Gandhi. Prosecution has been initiated against Chandrakant Ishwarlal Gandhi, Rajest Chandrakant Gandhi, Viraj Chandrakant Gandhi and Dhanalaxmi Chandrakant Gandhi from Ruvisha Trust. Names of Arunkumar Ramniklal Mehta and Harshad Ramnikal Mehta from Dainese Stiftung and Dryade Satiftunf trust was also mentioned in the list. KM Mammen from Webster Foundation, Arun Kochhar from Urvashi Foundation and Ashok Jaipuria from Raj Foundation were also named. The Court will be hearing the matter on Thursday.